You can see the Bentley wheel in this video. Thanks! The switch is (in my opinion) very vulnerable. I’d like it a bit further away from the pit lane limiter and where thumbs naturally rest....Interesting that it’s marked ‘Stop’ rather than ‘Kill’, so maybe just connected to ignition and fuel supply? I build control room software and simulations for oil rigs. I've seen some crazy ergonomic nonsense at times, but not like these wheel switches. The oil rig equivalent of a kill switch is called a TPS (Total Platform Shutdown). It kills everything from wells all the way to export lines, generators, shoves the gas up the flare. The only thing that stays running is a UPS for essential 'life support' systems. You'd never dream having the TPS button in a place it could accidentally be hit. A software TPS button would require a confirmation, whilst a hardware one would be a double action (lift and push). 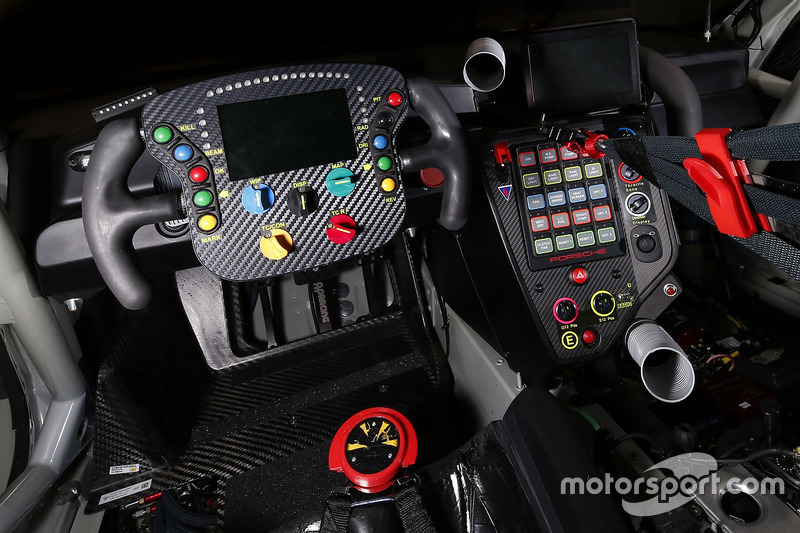 I don't understand these steering wheels, and having now seen the Bentley one, I'm amazed this isn't more common. yeah, that's why is wierd to me that a k.switch on a gt3 doesn't require to be pushed for 4-5 seconds to be triggered. You can accidentally hit it and nothing happens but if you push it for seconds it's because you want to push it or really you don't know what you're doing. 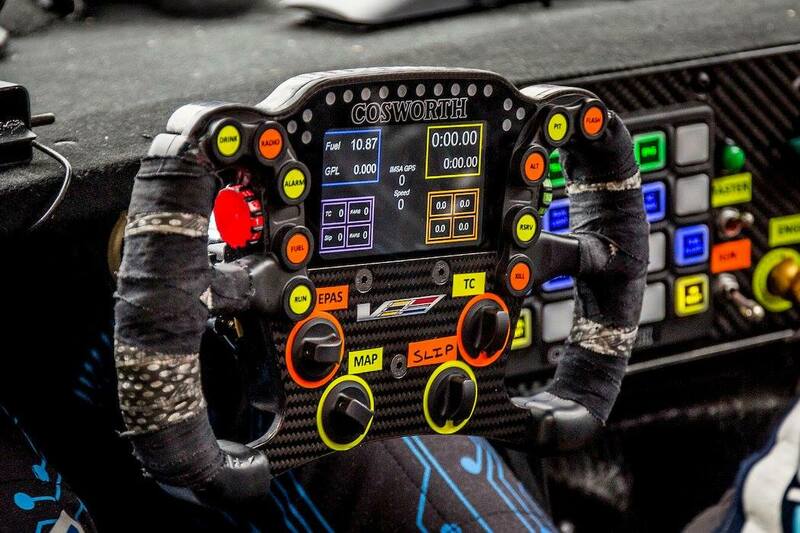 ‘Kill’ switch / button by normal motor sport definition needs to be instantaneous. It’s a regulated safety requirement, same as a fire extinguisher activation button. ‘Stop’ suggests a switch is for cutting off ignition and fuel supply, and it’s possible that’s what one or more of those steering wheel switches are. All that’s needed is a location away from the pit lane speed limiter! Yeah, I understand the instantaneous bit. Again, to use an oil rig example, the TPS is does require a very purposeful action (you cannot accidentally do it), but once you activate it, there is no wait time. The generators are off, the valves will close, the blowdown valves will open, and all of your gas is going up the flare to be burnt off. The 919 system looks good. It's very hard to accidentally push, but very easy to activate on purpose. If a 2 action system is not allowed, then that's what I'd design my buttons to be like. Shrouded button FTW in so many cases. I showed the Mrs - who is a practicing ergonomist - some of the steering wheel photos and she cringed. As an aside, and linked to Akrapovic's profession, more years ago than I care to remember* I worked on a chemical plant as a trainee chemical engineer prior to going to University. One bit of the plant was a continuous furnace operation making carbon disulphide & hydrogen sulphide (so pretty noxious and toxic materials) from boiling sulphur and high pressure natural gas. Our various control room shutdown buttons were big, bright red, well signed, in cages to avoid shoulder-presses & had a two-stage operation - and were similarly instantaneous, shutting off all feeds and dumping nitrogen (and more natural gas, counter-intuitively) through the system to push everything up a flare stack. *that was pretty much bang on 30 years ago. Lordy. The only shrouded buttons on it are PIT and MAP. MAP will be engine mapping, so fair enough. PIT being protected is interesting. The kill switch doesn't appear on the wheel at all, but it does have an emergency button - presumably just an alarm back to the pits. But that isn't protected. There is an amazing amount of complexity in these sort of systems, and often it does produce this weird sort of contradiction that you faced. In your case, a blowdown is a two-stage action to activate it, yet it can also be activated by a break-glass call point - something very vulnerable to accidental impacts! It is thought that the Buncefield Explosion was caused by the Control Room Operator shutting down the plant, as he is meant to do. The leak had already happened, and when he noticed he shutdown the plant. The shutdown started a fire pump, which they suspect was the ignition source. No entries in the 2019 Blancpain GT World Challenge Europe. Bentley won't have factory cars at the 24h Nürburgring.